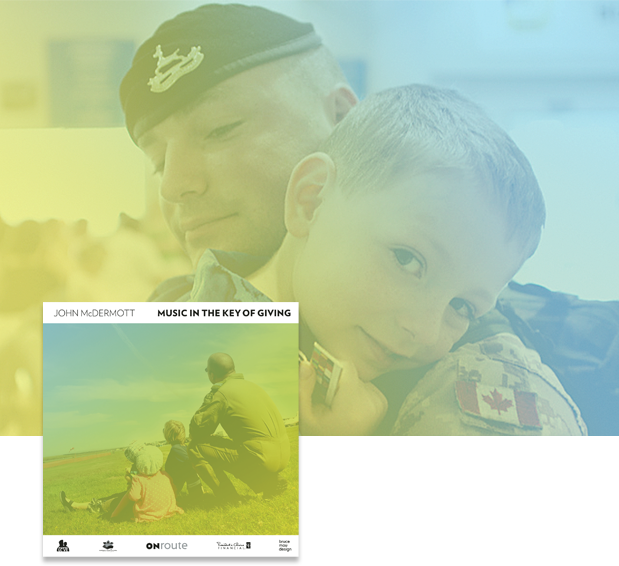 Help Support Our Troops, Their Families and McDermott House Canada for just $10. CDs will be mailed to the purchaser’s address. Taxes and shipping are in addition to the cost of the CD. John McDermott, with the support of ONRoute, True Patriot Love Foundation and PC Financial, recorded 17 songs he chose specifically for this fundraising initiative. All proceeds from the sale of this CD will go to McDermott House Canada.